This is an interview that has been in the back of my mind to do since I first started. John Klumpp and I have talked about many things over the years and met through Allan Beil a long time ago. Through these chats I have gained so much insight into these little bees we love and I’d like to give you all the opportunity to learn from him too. John is an easy going, knowledgeable kinda guy. He wrote the first book on stingless bee keeping in Australia and I must say I like his approach to keeping stingless bees as a hobby. In the video below, the first question I ask John is about eduction – John is actually responsible for naming this process in which bees build a new nest in a new box that is connected to an old hive. I’ve also written about it here and here if you want more info. John has a really unique way of making hives that he describes in the next video, along with some other little interesting topics such as bait hives, small volume hives and the distance stingless bees can fly. I thought as a bonus video I would ask John about his experiences with solitary bee hotels and what he has found out over the years with what they like to nest in as mediums. Maybe you yourself at home want to try making a solitary bee hotel? I was aware of them since I was a child. My mother used to walk down to the phone box and while she was on the phone I used to watch them coming in and out of a log that was next to the phone booth. I was in preschool. They were far more common in those days. I progressed to keeping honey bees for many years when we moved to Jimboomba, then we moved into suburbia and I was worried someone was going to get stung so I switched to the little bees and worked on better homes for them. 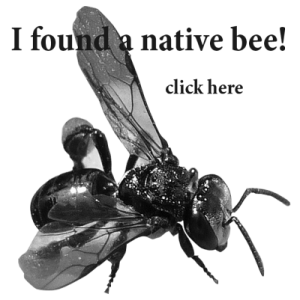 The first stingless keepers saw the stingless bees as miniature honey bees and many of the first homes were modelled off honey bee homes. Many hives I saw rotting out and so I set out to design more durable homes. What type of Stingless bee is your favourite and why? I supposed it’s Hockingsi, which is a funny thing because people go for docile when selecting bees. But Hockingsi, with their big, boofy appearance, exhibit great defence, they remove all pests with haste. If I could have only one it would be Hockingsi. My design is based around to suit the bees rather than to suit us. We have downsized a Langstroth and I really think we have gone wrong from day one. They don’t build on comb, they build in logs in round hives which suits their natural brood structure. In rectangle hives you will see over time all corners are filled with resin with the bees trying to return it to a round shape. I moved towards a round concrete hive. 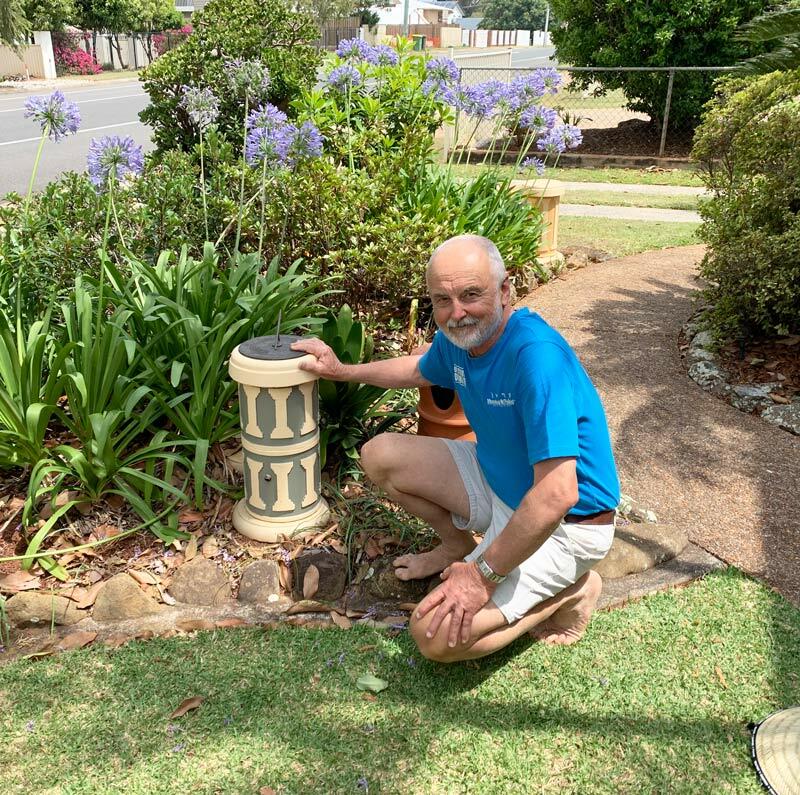 My inspirations have not only been natural logs but the places that they naturally prefer – walls, gardens pots, bessa blocks, compost bins and water meter pits/telstra pits. Hockingsi preference these. John Klumpp, why do you believe bees are important? For the obvious reasons of course, a considerable amount of food we eat is helped by bees, they are also important for the environment and other species, once you start fiddling with one part of an environment you have an effect. It wont become obvious till down the track. They were significant to the aboriginal people. I’m learning that all seasons are not equal in terms of propagations. This season has not been as good for the eduction method. On a broader sense people are getting more interested in them and we are seeing more interest and with that more ideas. Some people take their bee keeping too seriously. Learn to enjoy them and have them around. It’s important if you’re going to have bees to learn from them and enjoy them. It should be something that you look at as an enjoyable past time. Don’t take yourself too seriously. Keep your eyes open to other people’s ideas and learn from them. If you would like to get a hold of Johns book you can buy it here. Thanks for sharing your knowledge and wise words John!